Get help with fear of the dentist, and don’t be paralyzed any longer by crippling anxiety when confronting a dentist, hygienist, or dental surgeon. Learn to see dentists as healers instead of sadists, and learn to find their procedures relaxing and healthy. Become comfortable during anesthesia or while under the drill and while experiencing minor amounts of tooth-related pain. With the self-hypnosis power of Steve G Jones M.Ed., “Overcome Fear Of Dental Procedures,” you will learn to turn your fear upside down and learn to welcome visits for cleanings and even fillings. Many people have a crippling fear of dentists that causes them not to get the help they need when suffering from a toothache or infection, and a significant number of people die every year from untreated teeth problems because they have an unbearable fear of dentists and dentistry. If your dentist is Dr. Hannibal Lecter, maybe you have something to worry about – but most dentists are there to help people and are actually committed to keeping people from feeling pain. If you are looking for tips on how to deal with your fear of dentists, or if a toothache is causing problems in your life and you need to know how to overcome the difficulties you may have with dentists in order to seek help and get treatment, then self-hypnosis may be the answer for you. A self-hypnosis audio recording such as Steve G Jones “Overcome Fear Of Dental Procedures” will help with fear of the dentist by allowing you to get deep at the root of your problem and will instill suggestions that will cause you to relax when confronted by a dentist instead of becoming tense and nervous. There is something about being strapped down to a chair and made to feel completely at the mercy of a man or woman who needs to put things in your mouth – inside your very head – to do things you can’t see, for reasons you don’t understand, that can make you understandably nervous. Dentists may have power over your teeth and over what goes on inside of them, but you have complete power over how you will respond to them. You may subconsciously feel like you have disappointed your dentist by maintaining poor hygeine and he therefore wants to hurt you, but this is probably not the case. How Can I Get Help with My Fear of the Dentist? You have to train your mind – with the power of self-hypnosis – to respond to the blinding lights and sharp metal objects with something like relaxation and resignation, instead of with chills and panic. A dentist will definitely not kill you as fast as tooth rot or an abscess. At certain points in all our lives, we discover that we need to go to the dentist. We discover that only a person in a white coat who has studied everything there is to know about the mouth and its teeth can help us with our problem. However, the first step may be getting help with fear of the dentist, before any cavities can be filled, or any roots can be canalled. Dentists may seem terrifying, but in reality they are here to help you. Don’t be part of the problem: conquer your fear of dentists by using Steve G Jones self-hypnosis recording “Overcome Fear Of Dental Procedures,” and learning how to remain calm when that drill starts to turn. 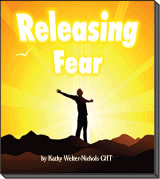 This self hypnosis recording is guaranteed to help you overcome fear of the dentist, and that guarantee is for a full sixty days so order your copy today.